Froth milk using electric/battery powered milk frother. 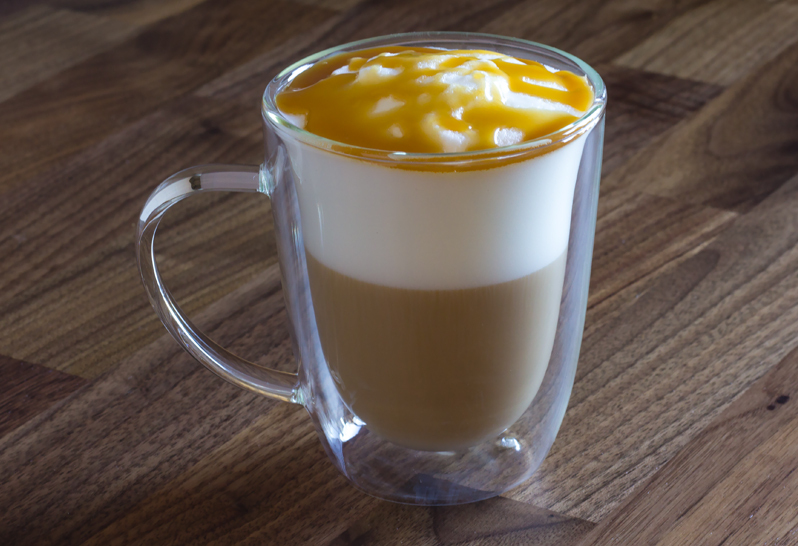 Pour frothed milk into a tall heat-resistant glass/mug and then add espresso and vanilla syrup. Spoon a thin layer of foamed milk over the beverage. Top with Torani Caramel Sauce. *4 oz. of any dark roast coffee or espresso can be used.